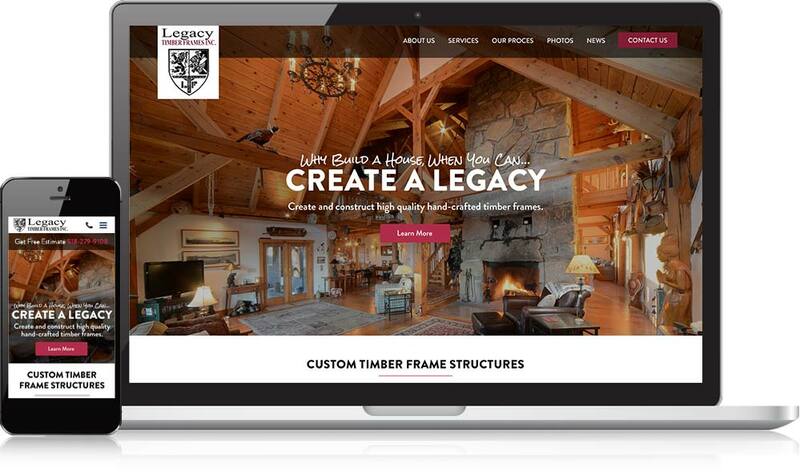 Legacy Timber Frames designs and builds custom timber frames for residential and commercial clients. When they needed a new website that could function optimally on desktop and mobile devices, professionally showcase their work, and support their efforts to educate prospective customers and get more leads, they contact Mannix Marketing for a custom designed website. The redesigned website uses a professional, user-friendly design with strategically placed calls-to-action that guide visitors to the most important sections of the site. Refreshed layouts simplify the display of information on the site as visitors browse staff bios on The Legacy Team page, explore projects in the photo gallery, and learn about Legacy’s process for creating remarkable one-of-a-kind structures. 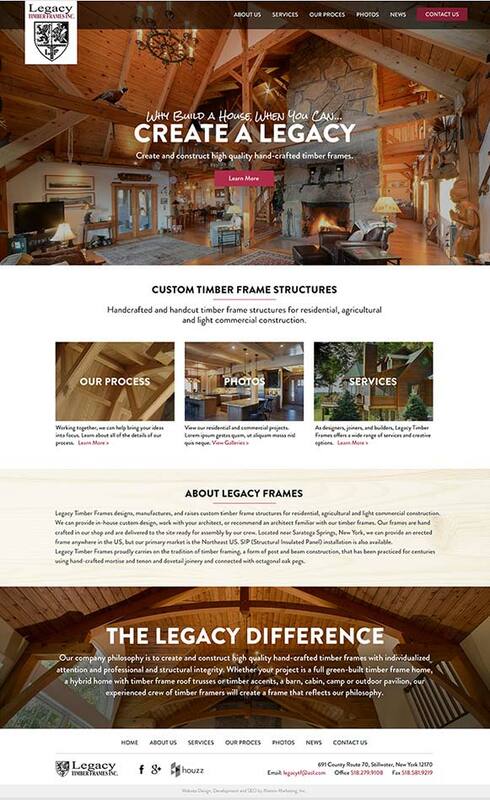 The redesigned website is easily updatable by the team at Legacy Timber Frames. This means their team can quickly add new images from the latest project to the website photo gallery so visitors can see the company’s most recent work.